I make great use of multiple workspaces in whatever Linux desktop environment I happen to be using. I typically keep my browser in one, my chat client in another, et cetera. One of the default behaviors in Xfce I found immediately puzzling was this tendency to cause my browser window to suddenly “hop” from one workspace to another. In paying closer attention, I discovered that it was happening when I’d click a hyperlink in my chat client in a different workspace. It would open the link in my already open browser, but it would move that browser from the other workspace to the one in which my chat client was residing. I found this behavior annoying, and it took me a lot of digging to get it to stop doing that. Fixing this behavior isn’t difficult if you know where to look. One of the nice things I’ve discovered about Xfce is that if a way it behaves bothers you, chances are there’s a setting you can change to correct it. This is no exception. From there, click on “Window Manager Tweaks”, and then the “Focus” tab. You’ll notice immediately (like I did, but it took me a while to find this) there is an option to handle how windows behave with regard to workspace switching in focus changes. 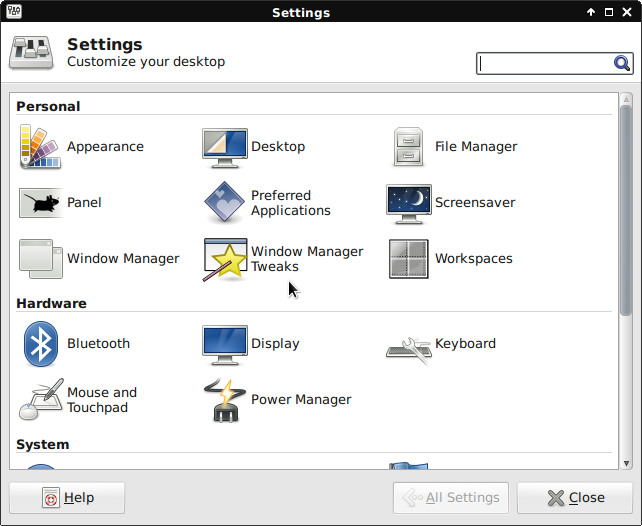 Simply select “Switch to window’s workspace”, and now Xfce will behave like most other window managers and desktop environments you’ve used. No more workspace shifting by your browser!